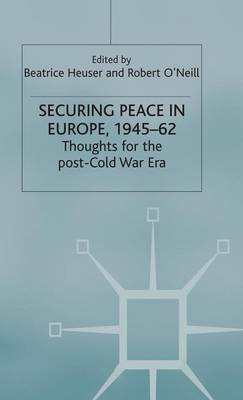 As European security structures are undergoing transformation in the 1990s it is crucial to examine their origins and rationale: NATO secured peace and facilitated economic and political co-operation, while also becoming the vehicle of national rivalry. This book examines why and how NATO came into existence, and what its strengths and weaknesses were during its formative years. It draws conclusions from these experiences relevant to the reforms of Western security structures in the 1990s.